▲ An exo-skeletal robotic orthosis, Lokomat attaches to a patient’s legs and helps improve the patient’s gait pattern while walking on a treadmill. Carol Sim, President and CEO of Siskin Hospital, and the 600 professionals who are part of her team at Tennessee’s only freestanding, not-for-profit rehabilitation hospital, confront a daunting challenge. “The question we face daily is how do we give people back their lives,” Sim says. Our medical treatment teams, each led by a physiatrist, assess the patient’s progress, unique challenges, and the team’s collaborative efforts to work toward the patient’s best possible outcome. Providing exceptional care has been the mission of Siskin Hospital for more than a quarter century. Garrison and Mose Siskin, sons of a Lithuanian emigrant, opened in 1957 an outpatient physical rehabilitation facility that would provide hope, healing, and the highest level of rehabilitative care to the people of Chattanooga. What began as the 50-bed “Operation Crossroads” by the two brothers has evolved today into the 217-bed Siskin Hospital. The hospital’s caring staff, with numerous advanced certifications, progressive programs, and state-of-the-art equipment, has helped thousands of mothers, fathers, children, family and friends to walk, talk and live independently again. Siskin Hospital’s outcomes significantly exceed national benchmarks, with more patients going home and far fewer admitting to another care facility. 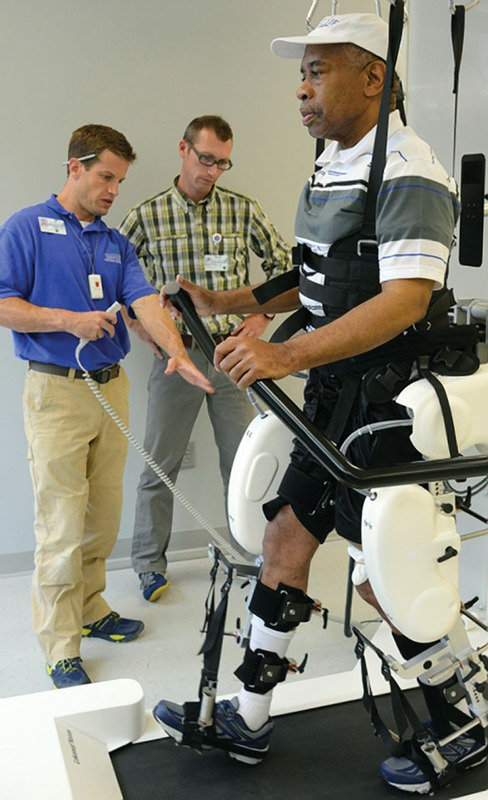 Some of the most advanced diagnostic and treatment technologies, such as Bioness, Neurocom, AlterG Anti-Gravity Treadmill, and a range of robotic-assisted devices, allow Siskin Hospital’s therapists to identify and treat impairments effectively. Siskin Hospital’s Center for NeuroRecovery offers an unparalleled scope of neurological services in the Chattanooga region. In 2016 alone, Siskin Hospital cared for nearly 2,000 individuals with neurological issues. Siskin Hospital also offers an array of specialty outpatient programs on its main campus and outpatient centers, such as lymphedema, balance/dizziness, VitalStim, low vision, osteoporosis and more. LSVT BIG, a research-based exercise program, treats Parkinson’s Disease. Siskin Hospital’s main campus is a thoughtful reflection of the unique needs of physical rehabilitation patients and their families. Mahogany wood accents, warm colors and the generous dimensions of the hospital halls, private patient rooms, and treatment areas give patients the homelike environment and the space necessary for healing their bodies, minds and spirits. 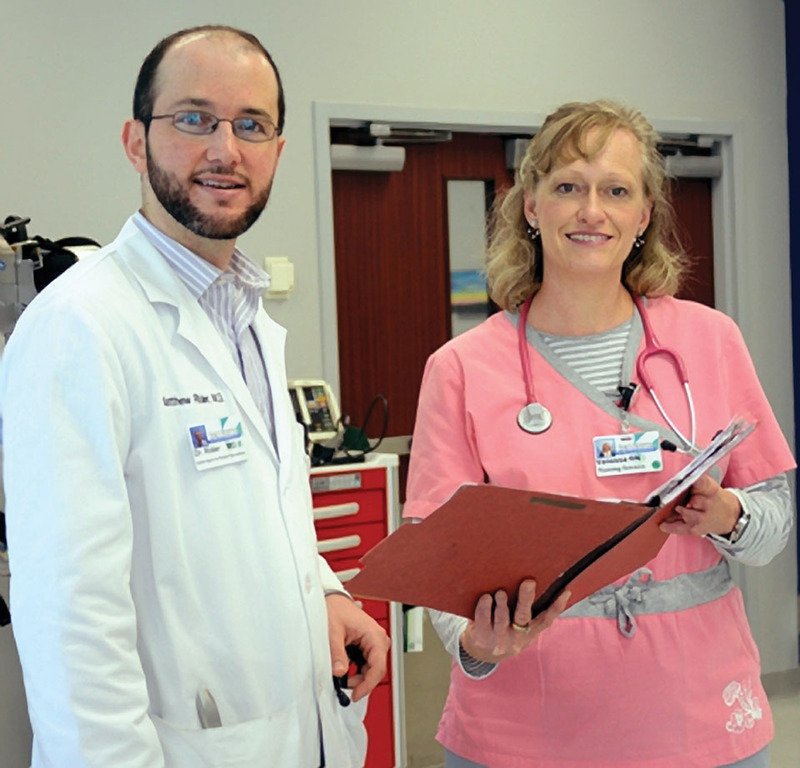 Each level of treatment, from inpatient to outpatient to workforce training, is housed in specially-designed areas to meet the particular needs of the patient. Over the past 26 years, Siskin Hospital has returned countless patients to active, rewarding lives after sudden accident or illness. From strokes to traumatic brain injuries, these patients were served with the most comprehensive care available in the Chattanooga area.